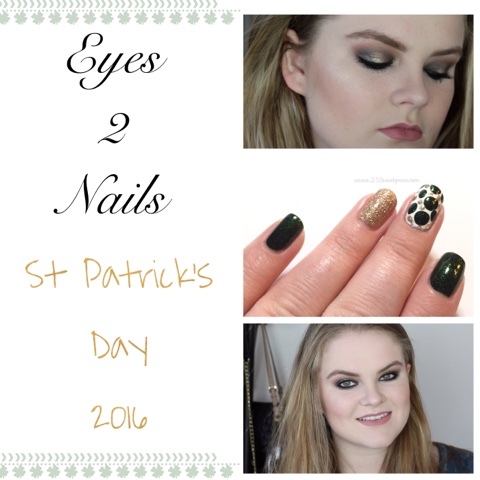 Hey ya'll welcoming to the St. Patricks edition of Eyes 2 Nails! 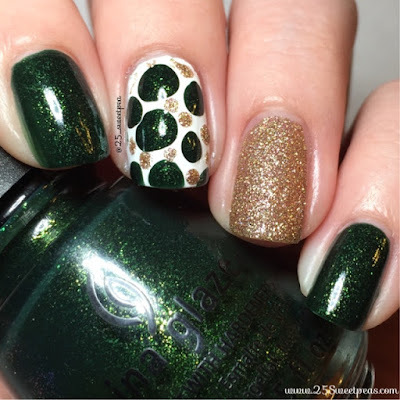 This week we both have come up with a fun look ya'll could wear on St. Patricks day so no one can give you grief if you forget to wear green. ;) Now let's take a look at what you can do! 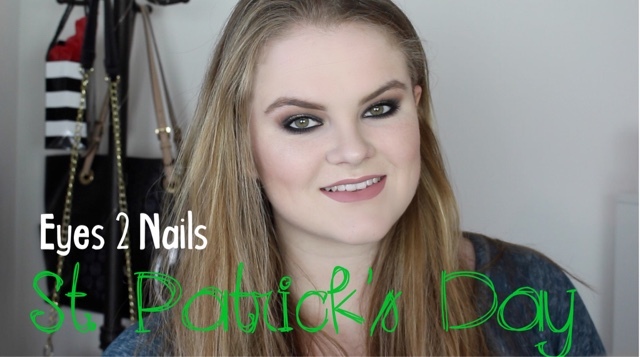 For my part of the look I used St. Patrick's day colors and did a blob manicure. For a blob manicure you pretty much let one polish drip on to a wet nail and let it spread however it wants too. Super easy. 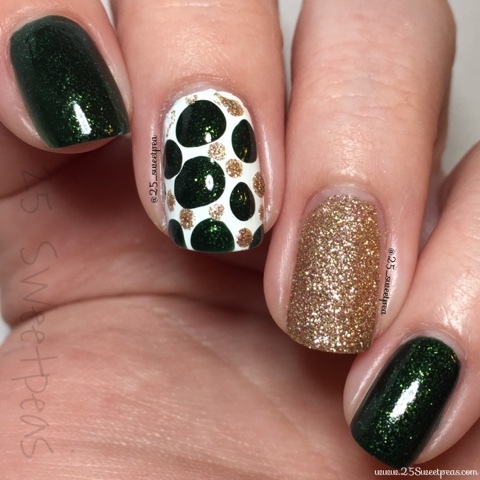 The gold is China Glaze Champagne Kisses , the green is China Glaze Glittering Garland, and the white is OPI Alpine Snow. 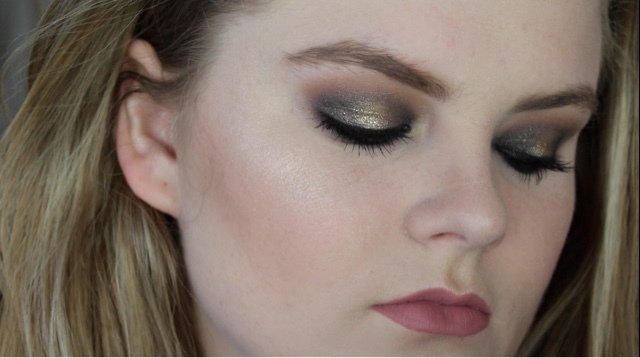 Such a gorgeous makeup look! 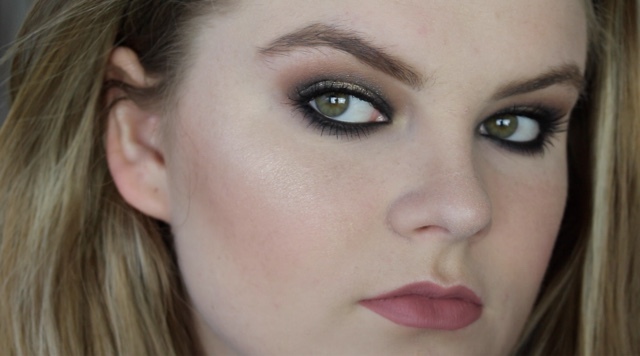 Now let's watch the eye makeup tutorial!